The best part of any trip for me is coming home! Although the calves did seem to be extra happy to see me, our sons and employees took great care of all the calves and cows while Ryan and I were attending the American Farm Bureau Annual Meeting in Nashville,Tennessee. 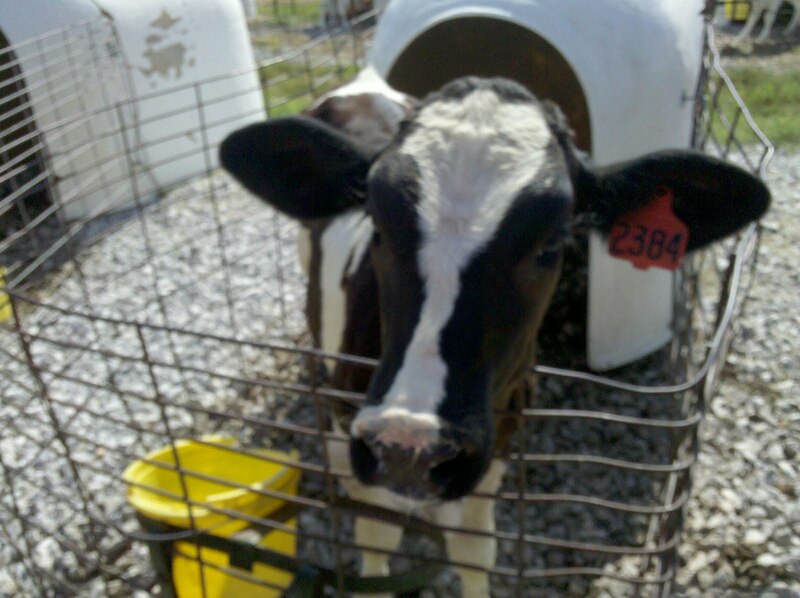 I'm thankful for living on the dairy farm with my family and working to provide high-quality,wholesome milk. My family is enjoying some of that high-quality, wholesome Hiland milk courtesy of Hiland and the NWA Democrat-Gazette cookie contest! After visting your farm, I really feel like I know where the milk is coming from. Thanks for your hard work! Thanks,Christy! Congrats on being a winner of the cookie contest! Which recipe did you submit? Mine were called Willadean's Holiday Fruit Drops.